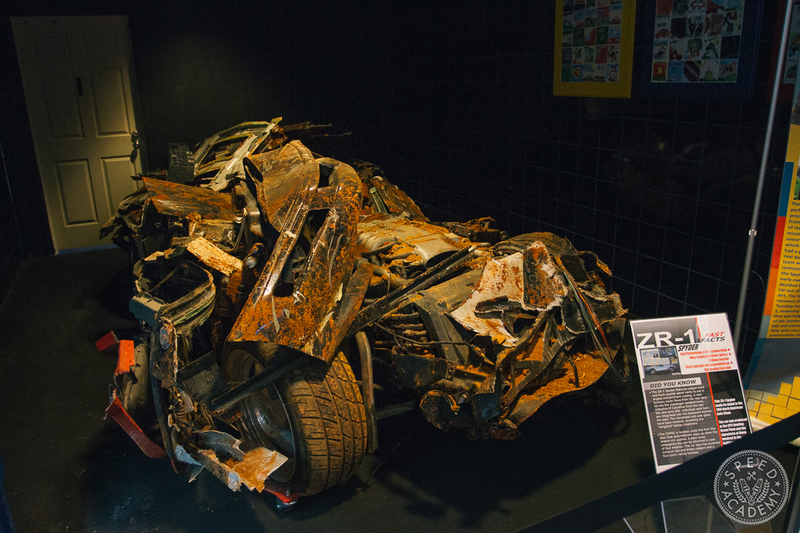 Editor’s Note: After seeing a R34 GTR in Tokyo in 1998, Scott McIver, the author of this story, has been a diehard auto enthusiast ever since. He’s the owner and president of Kaizen Tuning, one of the largest tuning shops in the American northeast and also has a background in manufacturing. Scott has many years of experience with a wide variety of car platforms, both technically and on the race track behind the wheel. 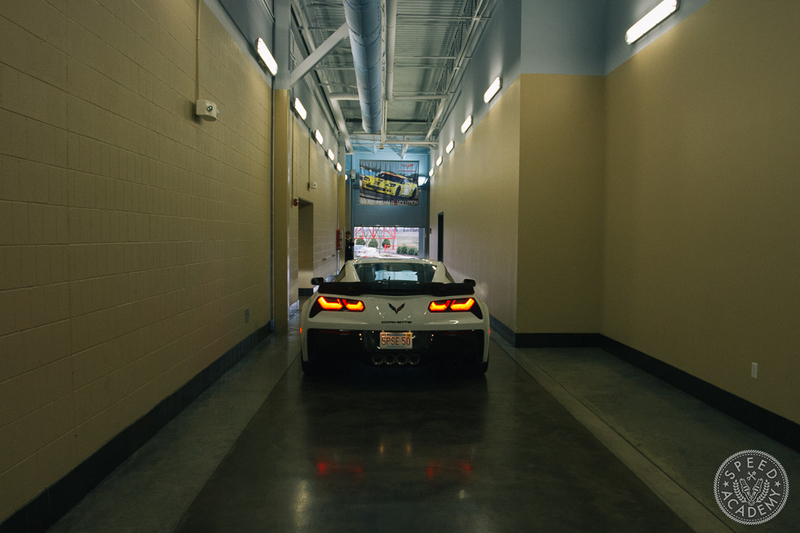 He’s owned a long list of seriously fast machines including C5 Z06, C6 Z06, R35 GTRs and Evos. 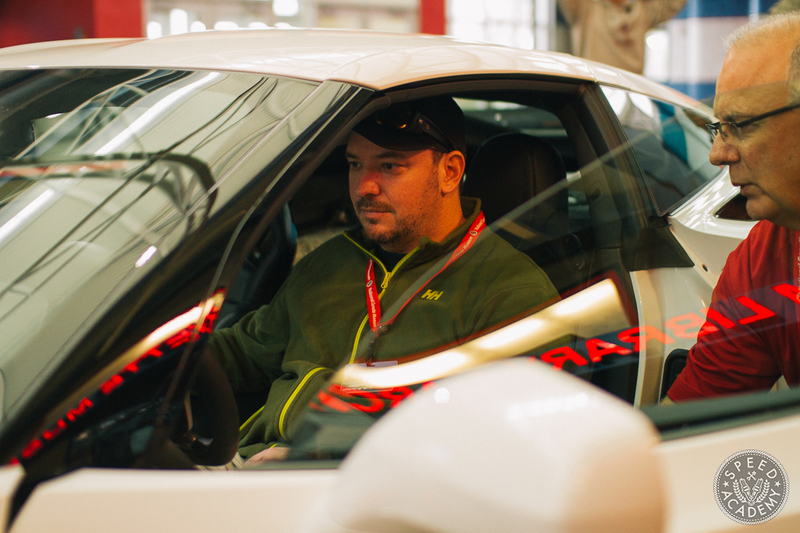 Photographer Dan Olivares, who was our videographer and photographer at Targa Newfoundland, is a close friend of Scott’s and accompanied him on this trip. I said I would never do it again. I would never again buy a Chevrolet Corvette. 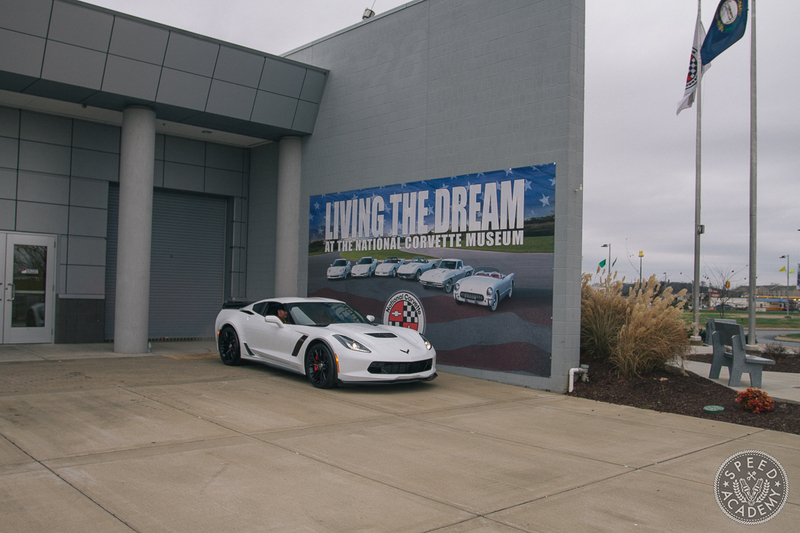 My ownership experience with a C6 Z06 was, to put it politely, frustrating, from delamination of the roof to rear ends letting go at the track. Disappointment in the American dream machine was paramount. That was 2007, before the economic collapse that put a serious hurting on America’s largest auto manufacturer. 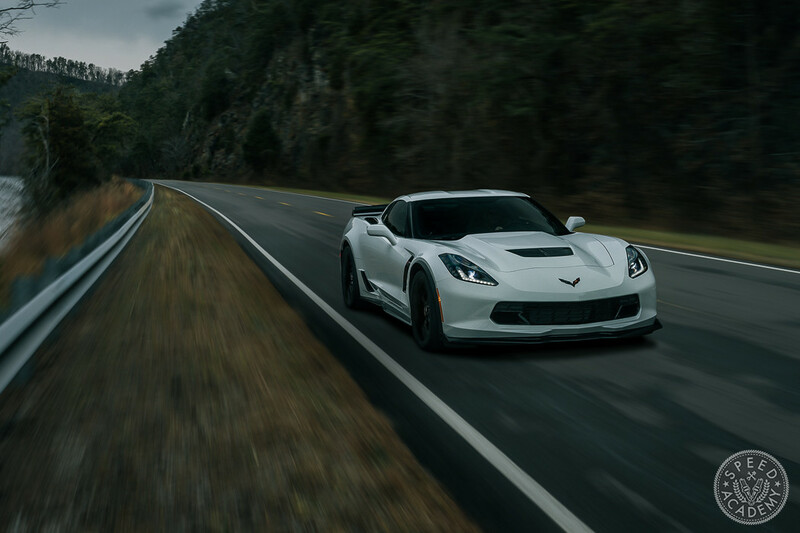 Fast forward to the summer of 2014, after GM had recovered from a US government bailout, and the first details of the 2015 C7 Z06 emerged. I was intrigued. GM had spent a considerable amount of time on the interior of this car, something that was a glaring weak point on the C6 Z06. 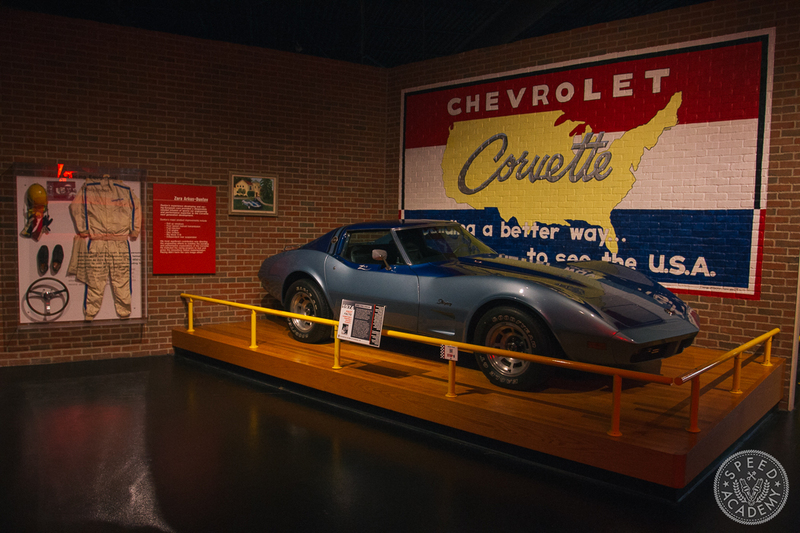 When the car was revealed at the 2014 Detroit Auto Show, my eyes widened. 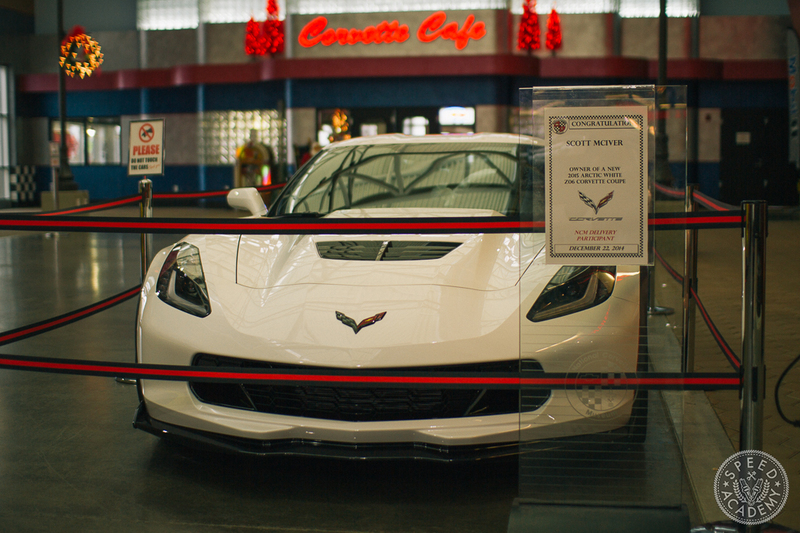 The C7 Corvette Stingray had been transformed into something much more aggressive in design. 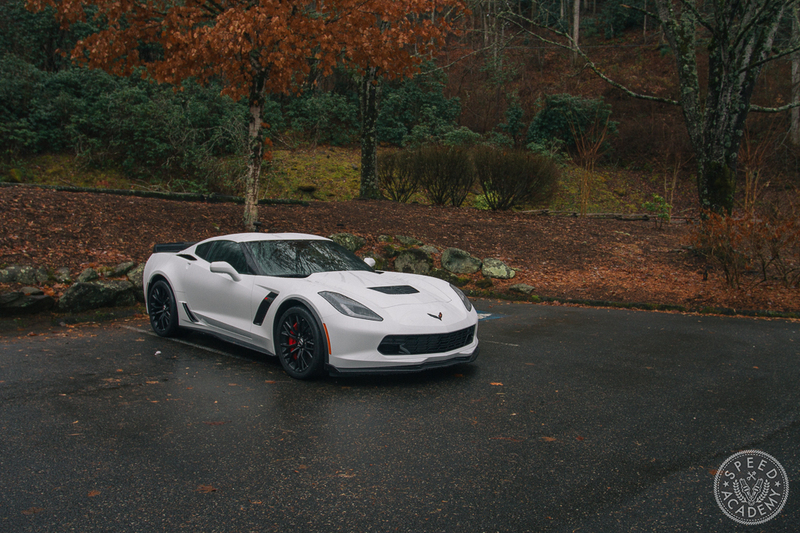 Wide, mean, and supercharged, the C7 Z06 had the building blocks to be a winner. 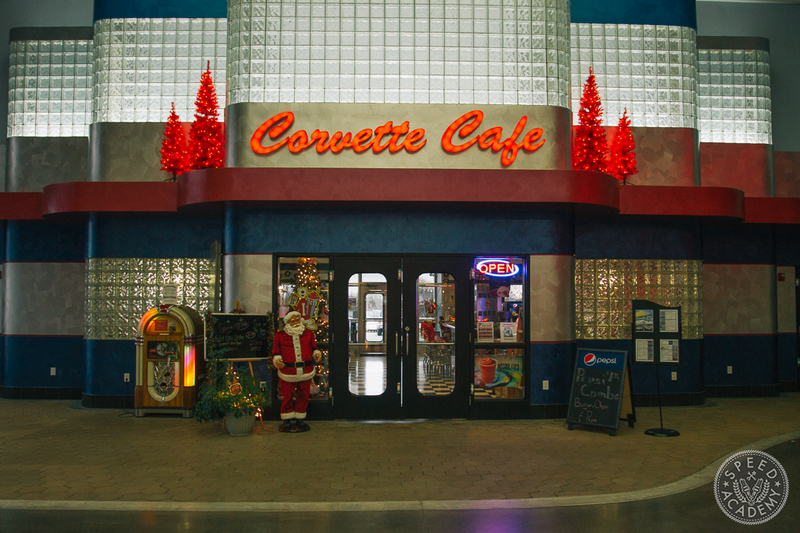 I put aside my reservations from past experience and put a pre-order in with MacMulkin Corvette specialist in New Hampshire. A redefined buying experience started from this point. I was kept completely in the loop as to what was going on with my order through a friendly dealer staff as well as a very well executed GM Chat Option. I could, at any point, ask a live person at GM what was going on with my order and receive up to the minute updates. 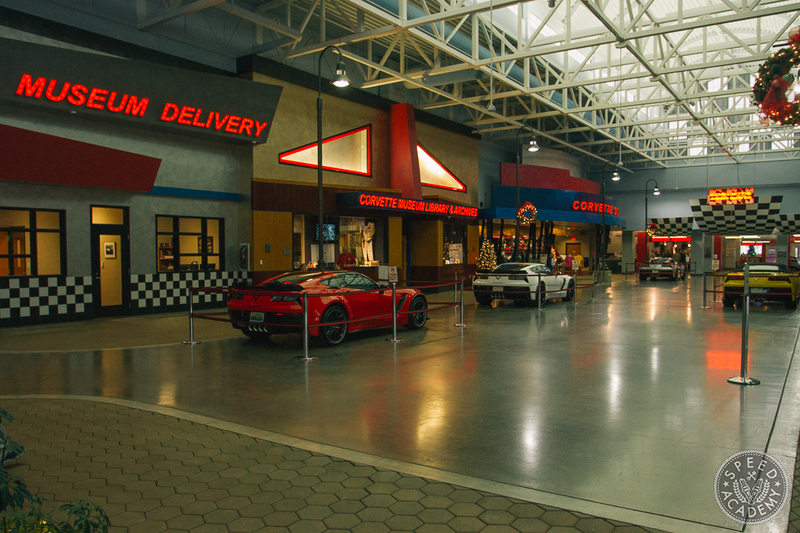 One of the other options I had picked was a National Corvette Museum (NCM) delivery, where you can pick your car up right across the street from the Bowling Green, Kentucky assembly plant. Again, through the NCM staff I was given amazing involvement in my build process. 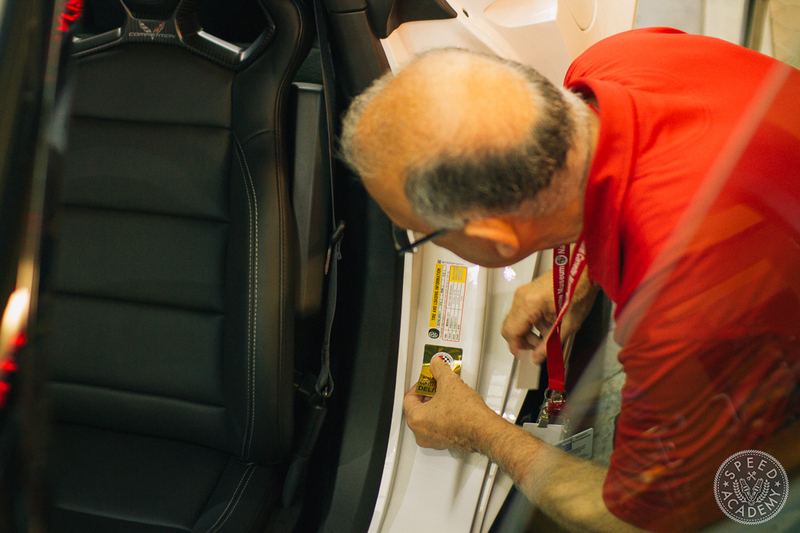 Other options available are a fantastic buyer’s photo album that documents your car through the assembly process, as well as the buyer’s tour that allows you to walk your own car through its entire build process. Any of these options are highly recommended, as you are involved the whole way through your car’s production. After my car was produced, the NCM held off on delivery for 2 weeks, to allow for any mid production changes to be applied to it before customer pickup. 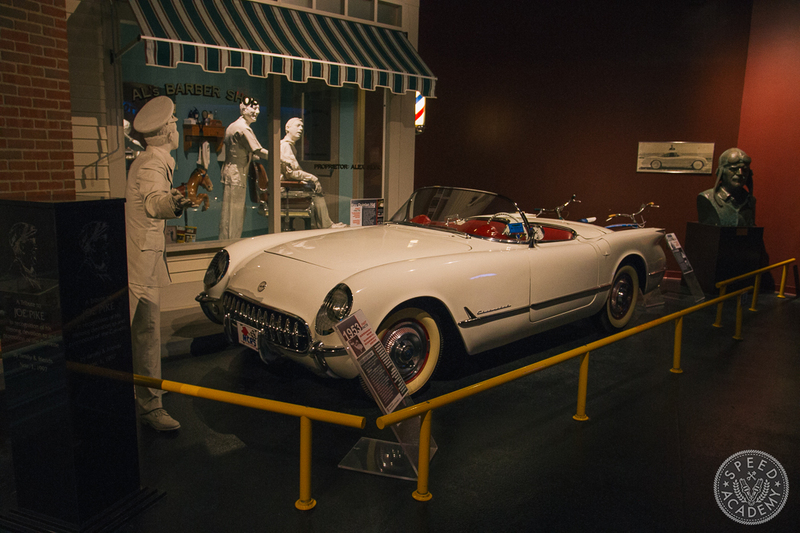 The NCM is not a car dealer, so they have to rely on the factory for any changes or updates. 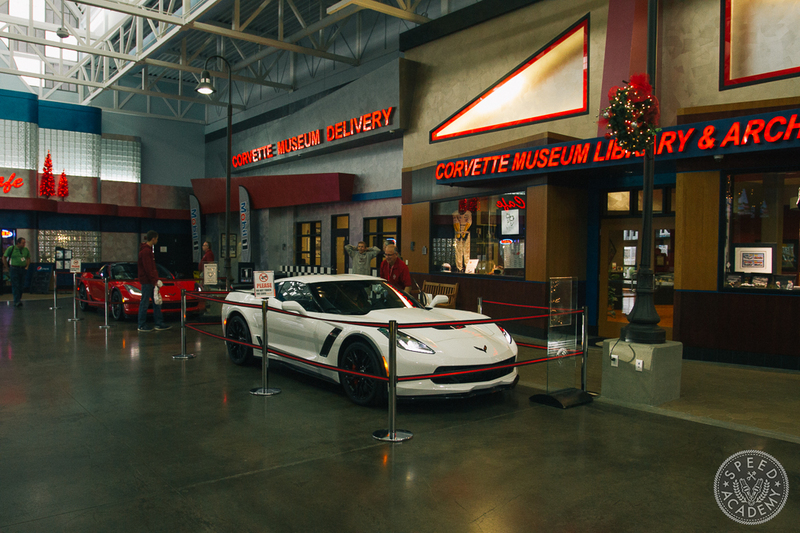 My car came off the line on the morning of Dec 4th, and a week later I received a friendly call from Shane at the museum to schedule my delivery for Dec 22nd. I immediately started to hatch a plan to knock off a bucket list item and make a run through the Tail of the Dragon, a world-famous stretch of road that runs along the border of Tennessee and North Carolina through the Great Smoky Mountains. 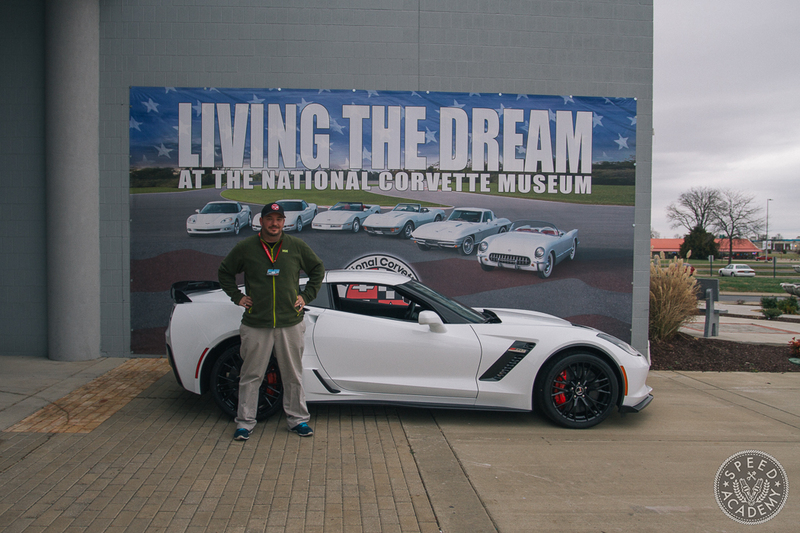 With 318 turns over 11 perfect miles, it’s automotive nirvana and to have an instrument like the new Z06 to use there made it an easy decision. When the day came, photographer Dan Olivares and I flew to Nashville and drove north to Bowling Green. 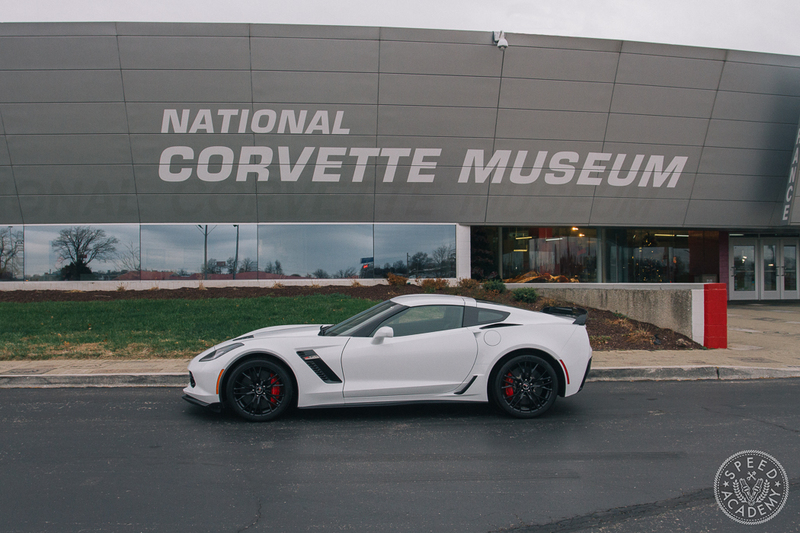 The NCM is right across the street from the Corvette assembly factory, plus there’s a brand new Motorsports Park across the highway equipped with a 2.7-mile road course. 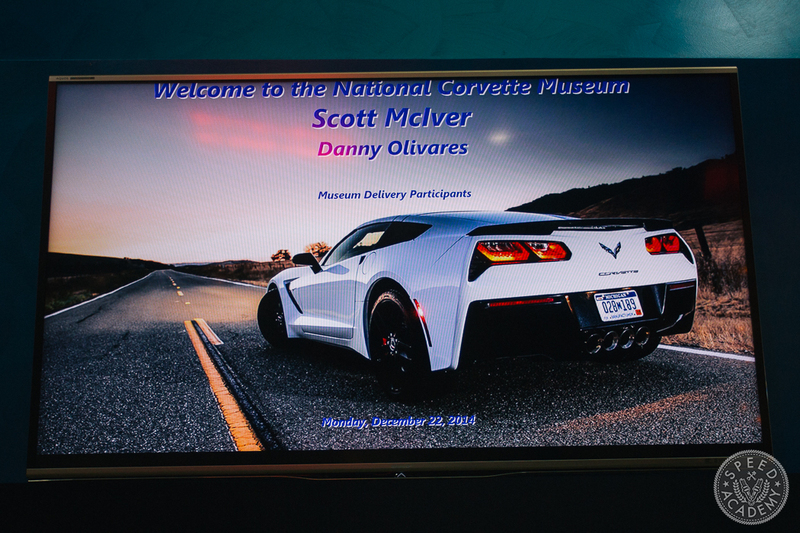 When we arrived and walked through the front doors of the NCM my Z06 was front and center with 6 other Corvettes being delivered that day. My family [back in the Boston area] got to watch via a live webcam feed – it was fun to get texts that said I was smiling wider that a Cheshire Cat. 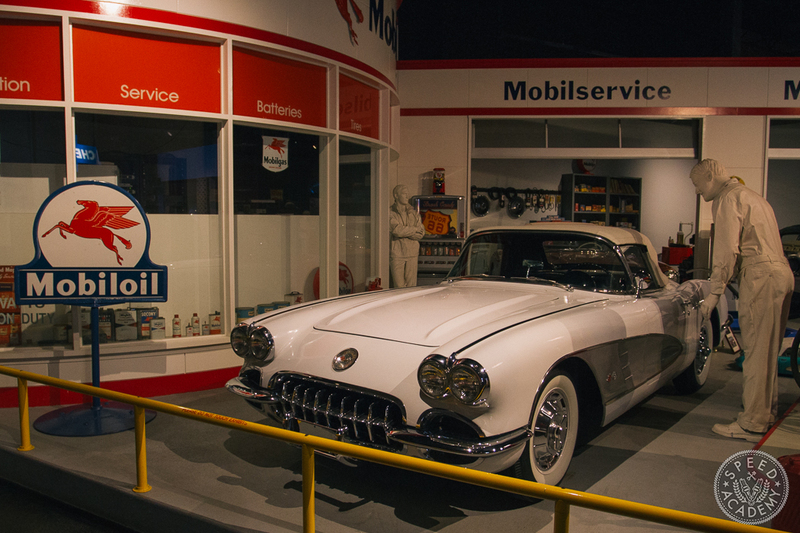 We wrapped up our museum experience with a tour of the GM assembly factory. 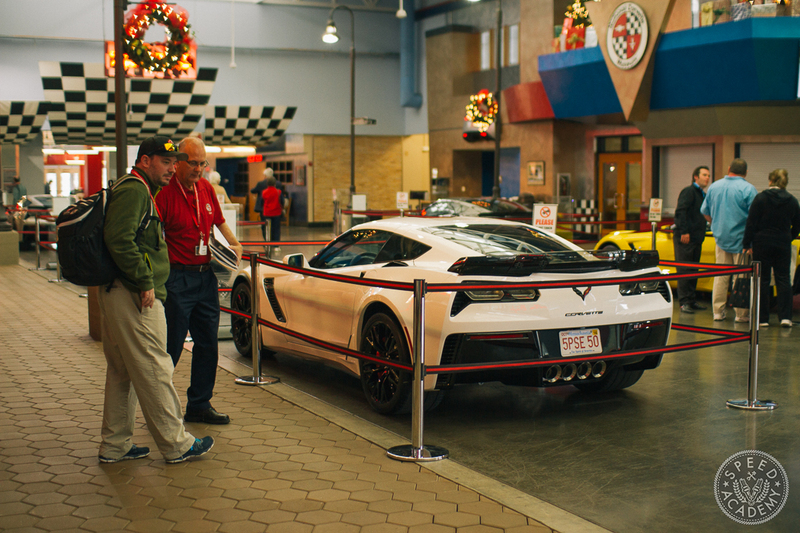 With the Z06 newly released, the factory was going at full tilt moving cars off the line. 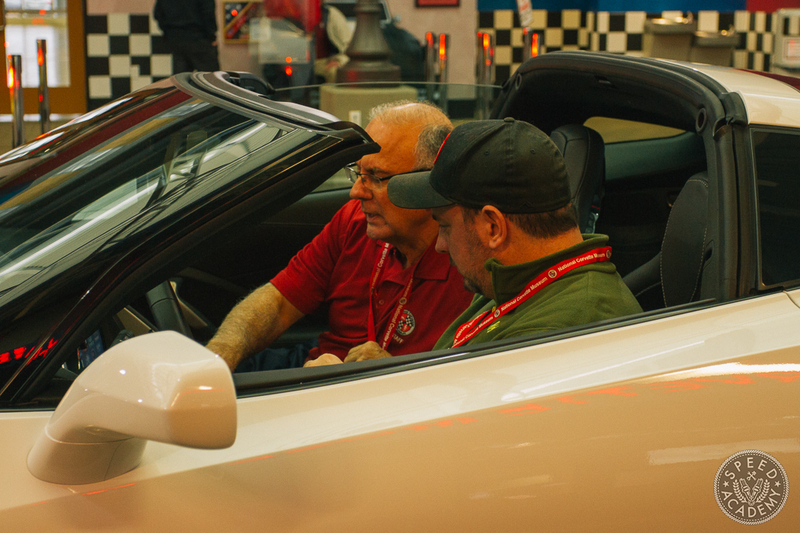 We got to shake the hands of many of the men and women that put these cars together. 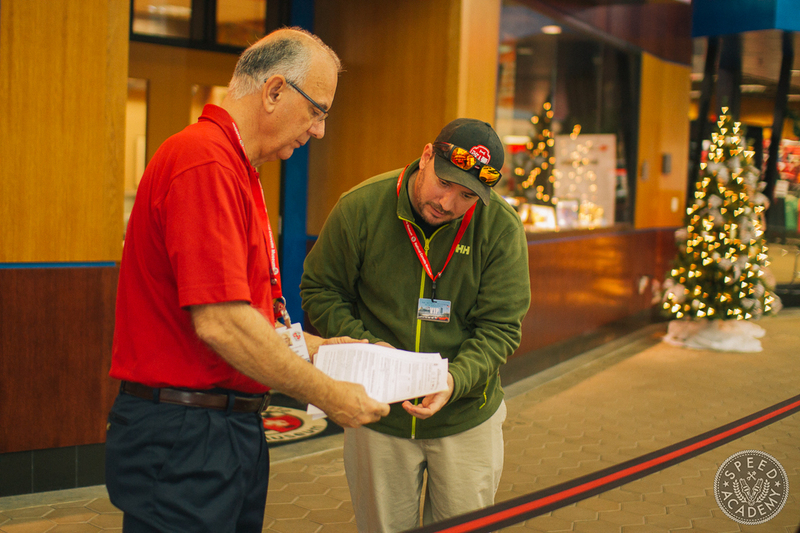 It was great to get a chance to talk with them – and very satisfying to be thanked by the GM employees for our business. 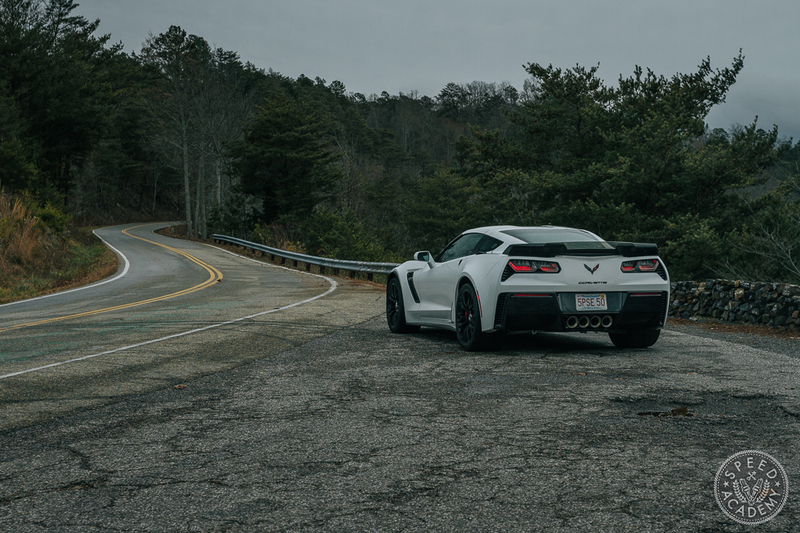 After the tour we returned to the NCM to take delivery of the Z06, and started making our way out across Tennessee toward the Tail of the Dragon. We knew we had a long ride ahead of us, and low and behold as soon as we pulled out of the NCM parking lot it started to rain. We dialed our traction control to inclement weather mode and gingerly headed southeast. You will love the tour, Scott! Mind blowing stuff going on there, and great people. Thank you Mary! Dan and I may have to take another road trip!